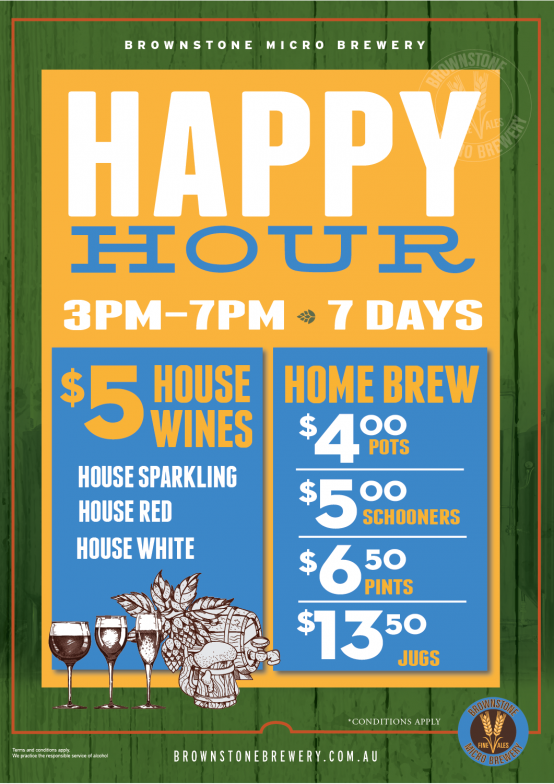 Enjoy House Brewed Beers from only $4 every day! Head down to Brownstone Micro Brewery any day of the week between 3 and 7 pm to enjoy our House Brewed Beers. High quality beers, brewed in house that won’t pinch the waller.